Graffiti in a side alley on the side of The Lasansky Gallery building. Photo taken May 11, 2013. IowaWatch reporters Sarah Hadley, Katie Kuntz and Danielle Wilde have been named winners of Society of Professional Journalists’ (SPJ) regional Mark of Excellence Awards. They will learn if they placed first, second or third when the SPJ makes that announcement at a regional meeting April 25-26 in Overland Park, Kan. First place winners in each of 12 SPJ regions will be eligible for national Mark of Excellence awards, which are to be announced in late April. The awards are given annually for published journalism produced by college students. Hadley, Kuntz and Wilde are students in the University of Iowa School of Journalism and Mass Communication and volunteer journalists with IowaWatch, a nonprofit news organization. IowaWatch provides mentorship to college students in Iowa who want to be journalists and helps in getting their work published by newspapers and news web sites, and exposed through broadcast outlets. IowaWatch.org also publishes their work. Hadley’s story and photos, “Matter of Seconds: Tougher Farm Safety Regulation Hard to Come By in Iowa,” placed in the online in-depth reporting category. Hadley is a junior from Cedar Rapids. Kuntz’s video report, “Breaking the Cycle: Meth Addiction in Council Bluffs,” placed in the online news reporting category. Kuntz is a senior from Council Bluffs. Wilde’s photo slide show and accompanying news story, “Graffiti: The Art of Expressive Vandalism,” placed in the online feature reporting category. Wilde is a junior from Los Gatos, Calif. The Iowa Center for Public Affairs Journalism-IowaWatch is an independent, 501(c)(3) non-profit and non-partisan journalistic program dedicated to producing high quality investigative journalism in Iowa while training journalism students on this work at a high, ethical level. Find out more at IowaWatch.org/. 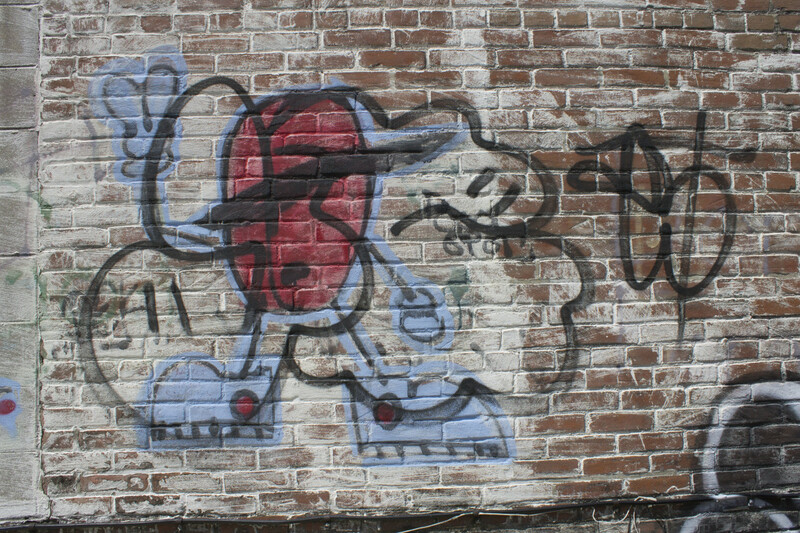 Is graffiti a form of vandalism…a form of art…or both at the same time? Graffiti has been transformed from simply writing a name on a wall, to a cultural phenomenon with competitive aspects.